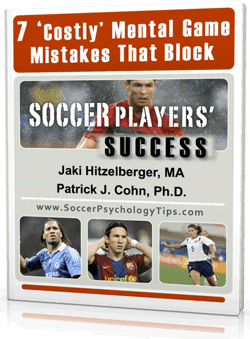 All competitive soccer players have experienced a slump in their career at one point. In a slump, you can’t get into the flow of the game and nothing is clicking. While there might be many physical explanations for this, it’s likely that your slumping performance is due to a poor mental game. 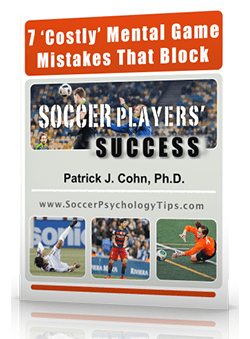 We want our soccer athletes to learn how to stay focused and energized even when slumping or when not playing up to their ability. We would not classify losing one game or one bad practice as a slump. Making a few bad passes or missing a break away would not qualify as a slump. We call it a slump when your performance decreases over a prolonged period of time. So in order to improve performance and return to the level of play you are capable of, you need to determine if your slump is from physical causes or mental game causes. Not all slumps are due to mental game issues or challenges. For example, if your coach puts you in a new position on the filed, this could lead to a temporary slump while you are adjusting to the change. However, if you lose confidence, this could turn into mental game issue. Coming back from an injury can also cause a decrease in performance until you rebuild your strength and fitness. If you think your slump is mental, the next step is to determine the specific mental game challenges that are blocking your performance. Let go of results and focus on YOUR performance. We want you to use all your mental energy in order to play your best. If you are worried about the past or future, you will become distracted and your performance will suffer. Do not become obsessed with or pay so much attention to your wins or personal statistics. Instead, focus on your actual performance such as improving your fitness, footwork, shooting etc. Avoid comparing yourself to others, this will also become a distraction and take you away from your game. Focus on small performance gains and specific goals to improve your level of play daily. Stay committed to your goals and dreams in soccer. When you are in a slump it is easy to lose motivation or think about quitting. This means you have to stay patient and focus on what motivates and drives you in soccer. Focus on improving your mental game. Some athletes become so fixated on trying to improve their technique to climb out of a slump. 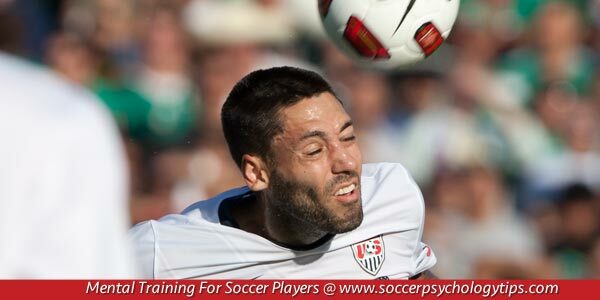 They forget that soccer is a mental game. 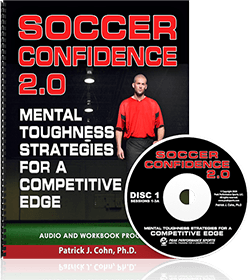 Address the mental game challenges that are holding you back.